Bestowed with the team of highly skilled and motivated pool of experts, we are involved in rendering quality-assured range of Steel Coils and Sheets in the market. 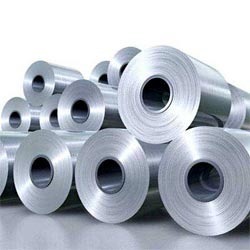 Our product range primarily includes GI Sheets, GP Coils and sheets, Hot Rolled Coils and Sheets, Cold Rolled Coils and Sheets, Color Coated Sheets, DC Coils and Sheets and Metal Roofing Sheets. Entire range is procured from reputed manufacturers, who utilize quality assured steel and inputs from modernized machines and technically reliable equipment. Our Steel Sheets And Coils are offered at pocket-friendly rates and can be customized to suit the demands and specifications of our clients. We welcome queries for Industrial Steel Products from South India region including Andhra Pradesh, Karnataka, Kerala and Tamil Nadu. Being a professionally managed organization, our company is involved in offering a comprehensive range of Stainless Steel Coils including sheets, flats, welding electrodes and more. Strict quality control procedures initiated by us ensures that the procured range of Stainless Steel products is free from defects and is superior in quality. Our Stainless Steel products can be availed at pocket-friendly rates via easy modes of payment. With our ability to customize the entire range of Stainless Steel following the demands of our customers, we have nurtured a huge base of satisfied clients present all across the nation. 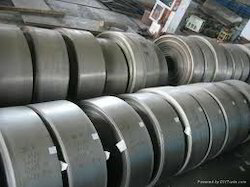 Steel Tech India are one of the renowned names in the industry that offers an unmatched range of Stainless Steel Coils. These are manufactured using premium grades of steel and in varied specifications. We comply with the prevailing industry standards and offer our clients coils that are dimensionally accurate along with high tensile strength. Our range is also made available in customized specifications as per the clients’ requirements. 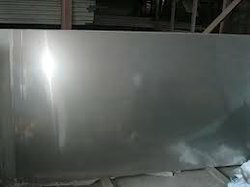 Stainless steel plates & sheets offered by steel tech india is from prime manufacturers & has zero rejections steel mart firmly believes in catering to the needs of the customers by way of supplying genuine – tested materials at extremely reasonable rates steel mart is an iso 9001:2008 certified company which reflects the quality consciousness of the boss & staff members steel mart is in a position to supply all kinds of steels n metals in round, square, flat, sheet, plate, coil sections and holds approx 900 m/t to 1000 m/t stocks of the materials in various godowns & warehouses steel mart specializes in the supply of:- stainless steel plates & sheets the said stainless steel plates & sheets materials are always supplied with the test certificates and can be supplied in bulk quantity as well as retail quantity as per customers requirements stainless steel plates & sheets can be supplied in size ranging from 0. 2mm thk to 200mm thk stainless steel plates & sheets are supplied by us to various industries we proudly state that customers come back to us – with regular orders, not with rejection complaints steel mart would be pleased to cater to your requirements of stainless steel plates & sheets.